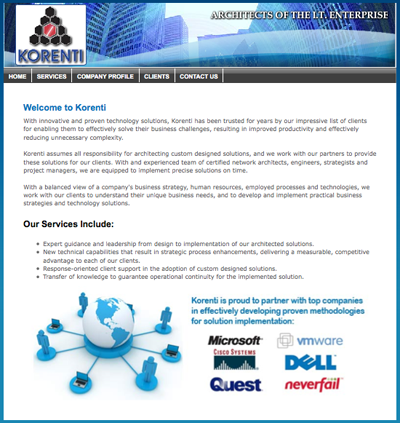 An IT services solution provider. Site features a Flash intro and Header. Technologies used: Photoshop, Flash, XHTML, PHP,CSS.